It has been a little over a year since the First Presbyterian Church of Pottstown dedicated their new labyrinth for prayer and meditation. 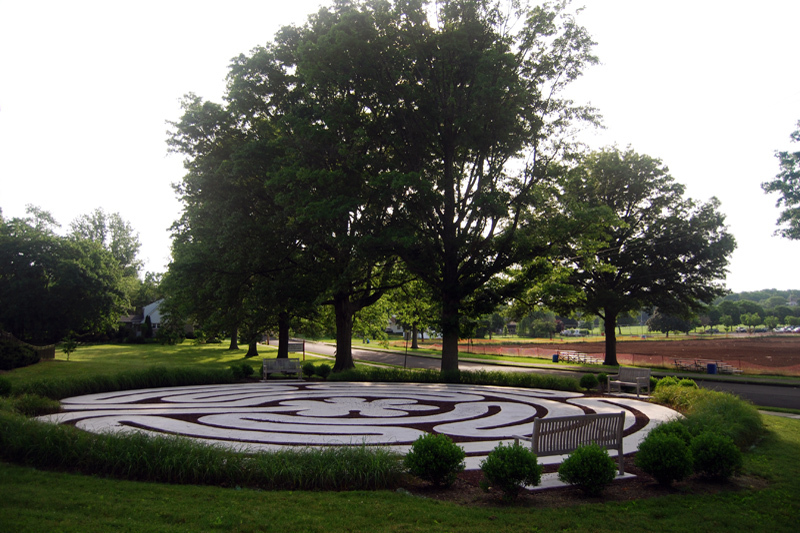 A labyrinth is an ancient symbol that goes back almost 5,000 years and relates to wholeness and finding your center. It is a meditation and prayer tool used as a journey to find make your way go back out into the world. After all these years, they are still popular with churches and religious groups because they enable us to pause and find focus in the midst of our busy lives. They can also be found in parks, resorts, medical/hospital gardens and on educational campuses. 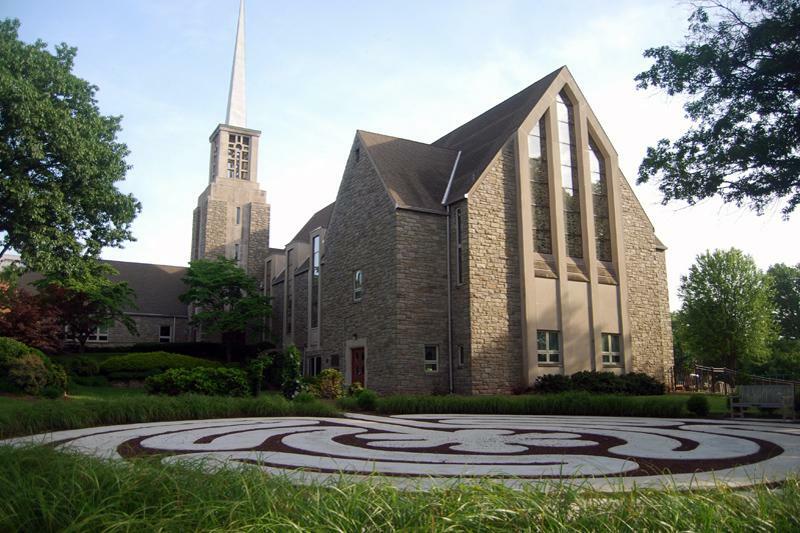 The First Presbyterian Church of Pottstown prayer labyrinth was designed to tie in with the Church entrance and an existing gathering area. Our landscape architects put together the inspiration board above to help our client understand layout and design options and visualize the their labyrinth garden. Initial planting choices were based on biblical plants including boxwood, sage, arborvitae and hyssop; however, based upon cost, hardiness and maintenance considerations, traditional accent hollies and grasses were installed and are doing wonderfully. This 5 circuit prayer labyrinth creates a path leading to the center of the intricate design and back out again. It is designed to facilitate prayer, meditation and spiritual transformation. 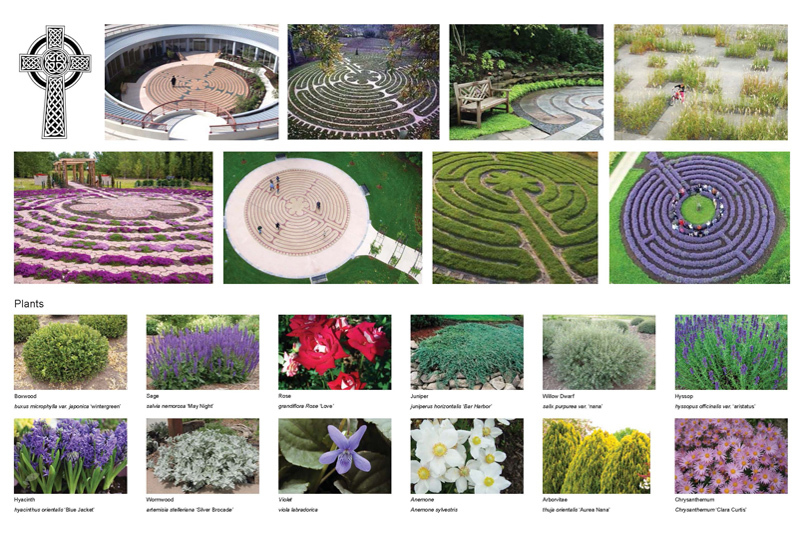 Each turn of the labyrinth represents a traditional prayer. 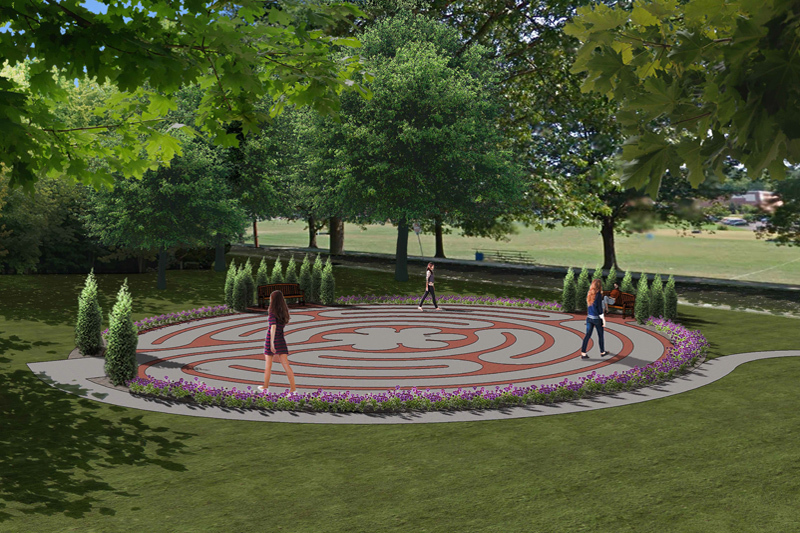 Seating areas were added to the outskirts of the labyrinth offering another place to reflect and meditate in the nature of the labyrinth. To learn more about our landscape design and planning services, contact Paul Lepard, RLA, PP at plepard@navenewell.net or 610.265.8323. ← When Do I Need an ALTA Survey?